Join the retro-future world of Steampunk, with this Brown Aviator Hat! Inspired by a melding of Victorian-era Britain and the fantastical designs of authors like H.G. Wells and Jules Verne, this hat is embellished with a satin band and authentic, adjustable faux leather chin strap that can be worn up on the brim or under the chin. 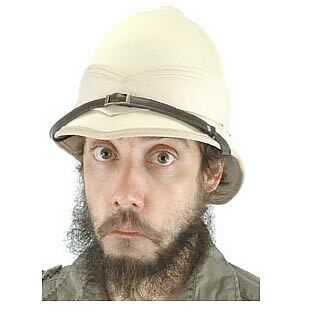 Costume suggestions: traditional British soldier, safari, adventurer. Size adjustable. Fit adults and kids. Sold in packs of 3. Measures about 12-inches long.